Recently, WordPress launched its React powered Gutenberg to provide a revamped content management system (CMS) experience. But this has gone too well with much of the users and has rather garnered a lukewarm response. Are you one of those people, looking to shift to another platform? Then this post might be for you. So, in this blogpost we will look at the next best alternative – October CMS and also see how it stacks up with our beloved WordPress. If you are looking for any developer out there, you can now hire a WordPress developer at HireIndianProgrammers, who will make your transition into website development for your business a smooth process. October CMS is a free, open source, relatively new and dynamic content generator that is based on the Laravel framework. Having a sizeable community, one key difference between WordPress developmentand October CMS is that while the former has basis on procedural programming the latter has basis on object oriented programming. With the launch of Gutenberg, there are two new features for WordPress developers – Introduction of the usage of components over the earlier coding blobs of HTML and another feature known as the block. Blocks are supposedly introduced to provide a way to insert content into the site. What does it entail for users?It ensures a simpler user experience. It is in stark contrast to the earlier version of WordPress that added content through shortcodes, buttons, menus etc; Installing many blocks isn’t a hassle either. What this essentially achieves is that it provides users with a modular approach. However, as with anything new, the learning curve for React is rather steep, thereby testing your patience. For October CMS, knowing just HTML is enough to build sites. The pages are written using twig templates. With respect to design, it allows users to select the appropriate layout including header, footer, placeholders and so on. So customisation is a breeze. If at all, you are not satisfied with only HTML, you can always add PHP functions to produce a dynamic code. 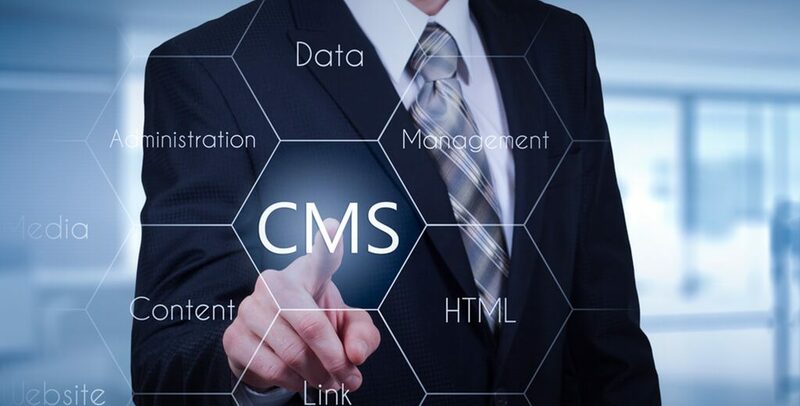 While anyone can use a WordPress site, October CMS is rather developer-friendly.That means dedicated programmers may have no problems to use, but the layman like marketers may not find it helpful. With regard to plugins, both platforms offer an advanced yet simplified mechanism that allows users to search, install new plugins and update existing plugins to their latest version. This can be achieved from the backend itself. We are all very much familiar with the documentation in WordPress. While in-site documentation doesn’t cover everything, there are several external sources and general sites such as CSS Tricks and online courses sealing with every WordPress topic under the sun. On the other hand, the documentation provided by the founders of October CMS, though doesn’t enjoy widespread recognition, does the job pretty well for a new entrant. It’s more than enough for people looking to start coding. What’s more? The founders regularly add new content to the documentation. However, you must know that it is not 100% perfect and it is a work in progress. Due to its immense popularity, WordPress is riddled with large amount of negative externalities. Users therefore have to constantly update all of their plugins and related software to prevent any major hacks. Meanwhile, October CMS being a fairly new entrant in this space and owing to its size, doesn’t have that problem. Moreover, during the wizard installation process itself, it allows users to input the CMS backend URL (changeable). This makes it almost impossible for hackers to attack. The sheer vastness of the community forums of WordPress programmers, both online and offline doesn’t need introduction. Not only in size, but also from a diversity point of view. It brings together people from different countries, backgrounds, professions – developers and users alike. So, it is very likely that whatever challenge you may be facing, there is always someone out there to help you out in these forums. In addition to that you could also make use of the WordCamps held in various cities to learn how to use the platform. October CMS is not bad either, especially for one that recently came into picture. Though it doesn’t match the level of WordPress development support forums, it is steadily gaining popularity. Even the platform’s owners join the discussion forum from time to time. This is good news for those who are starting out, in need of tips and tricks. The only con is that these forums are more oriented towards the developer. So what do you think would be a better choice for you? Both WordPress and October CMS have their own set of pros and cons. While WordPress is favourable for both the developer and the user, October CMS is geared towards developers. However, your choice may differ according to the project or team or company. What are your requirements? Make a note of it and decide on THE CMS for you.